Cancer in Pakistan: what are the numbers? You can view Sehat.com.pk’s range of cancer medication through here. In Pakistan, Every year 150,000 new cases of cancer are emerging according to International Atomic Energy Agency cancer assessment mission report (IAEA) which is ten times more than the previous years. Considering 61.52% of total population of Pakistan lives in rural areas, the chances of a common man having knowledge about cancer and its risk factors are very bleak. Keeping the importance of above said reason, let’s have a revision about cancer. How many people does cancer kill per year? How many cancer hospitals are serving Pakistan? How can we reduce the risk for Cancer? Cancer as defined by American Cancer Society (ACS) is a group of diseases occurred due to unchecked abnormal growth of body’s cells which spreads later making the immune system so weak that it is impossible to fight back. What is the origin of the word CANCER? The word Cancer was derived from Greek word Carcinos coined by a Greek physician Hippocrates (460-370 BC) very well known as ‘’Father of the Medicine”. 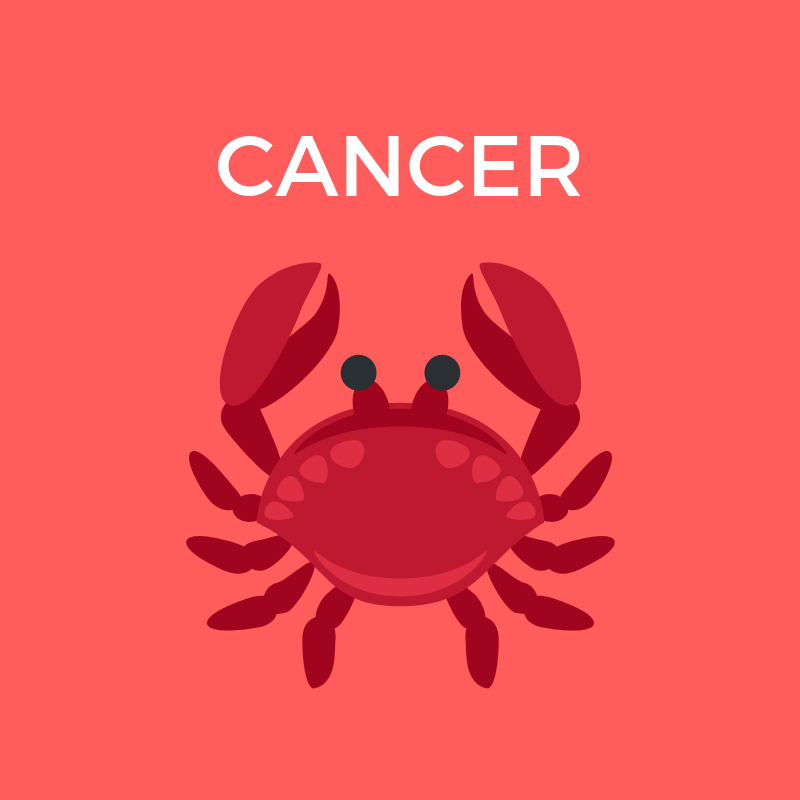 Carcinos refers to a crab because of the finger like projections of the tumor. Every one of us is already aware of the fact that our bodies are made up of cells. Among the cells a check system exists which connects the cells with each other. Via this system, neighboring cells keep an eye on each other’s wellbeing. In normal circumstances when a cell starts to grow uncontrollably, its neighbor cells detects this suspicious activity and destroys that cell. Cancerous cells first cut off this relationship of harmony among the cells which results in their unchecked growth. Just think it as Layari in Karachi which is a no go area far from the reach of law enforcement agencies which is a perfect opportunity for the crime to prosper in that area. The cancer grows and spread on the same methodology of divide & conquer. It won’t be an understatement if we say “It came, it saw and it conquered” about Cancer. Since its discovery dated back to 1600 BC, Cancer has engulfed a noticeable chunk of human population. By the help of cancer database collection since 90s, in most recent press releases WHO revealed a shocking number of 8.8 million cancer deaths per year. Which makes approximately 20,000 deaths per day by cancer. In Pakistan, the number of people diagnosed with cancer each year are increasing day by day instead of declining. The country with the cancer mortality rate of 100,000 is itself a proof of its devastated state of public health facilities. Being from low-middle income country we don’t have much resources to treat such a huge number of cancer patients. According to International Atomic Energy Agency cancer assessment mission report (IAEA) dated 4th Feb 2016, 150,000 new cases of cancer are emerging in Pakistan every year which were 140,000 in 2015 as per the Ministry of National Health Services, Regulations and Coordination(NHSRC) figures. To establish a national cancer action plan for prevention and control, in 2015 NHSRC launched the national cancer registry programs in major private and public hospitals through Pakistan Medical Research Council(PMRC). The purpose of Cancer registry program was to gather data regarding “all-cancer” types and demographic of the neoplasms so that our health systems can be tailored as per the load and changing needs of cancer treatment & management. How many Cancer Hospitals are serving in Pakistan? There are currently 21 Cancer hospitals offering their services in Pakistan. Out of 21, 7 cancer hospitals are working in Punjab, 5 in Sindh, 5 in KPK and each in Balochistan and Gilgit Baltistan. Considering cancer treatment as an expensive one out of all these hospitals only Shaukat Khanum Memorial Cancer Hospital(SKMCH), Bait-ul-Sukoon Cancer Hospital and Children Cancer Foundation Hospital are providing free and comprehensive treatment plans. Other hospitals do offer free /subsidized treatment plans through zakat funds or bait-ul-maal but acquiring treatment from these channels is a lengthy and tiresome process as applicants are more than the government capacity to support. Did you know Sehat.com.pk’s online pharmacy project can deliver cancer medication to more than 200 locations in the country. View the range here. How can we reduce the above risk factors? According to the American Cancer Society (ACS) 50% of the cancer deaths are related to the preventable causes. Which gives us all hope that by having a knowledge about reducing the risk factors, the rate of cancer can be readily reduced. The signs & symptoms of cancer are not limited to the above ones. If any noticeable change with in the body takes place which is getting worse by the time, one should immediately seeks doctor help. The role of healthy diet cannot be overlooked in decreasing cancer risk. In many researches, the high intake of fruits and vegetable rich in phytochemicals , their role in decreasing cancer risk has been fully endorsed. Phytochemicals are the biologically active chemicals produced by plants which possesses anti-oxidant properties. They are also responsible for the color, odor and flavor of plants. The American Institute of Cancer Research (AICR) categorized phytochemicals further and their occurrence in various fruits & vegetables. For Example, red, orange and green fruits & vegetables like broccoli, carrots, tomatoes, oranges, watermelon, apricots contain carotenoids (beta-carotenes). Apple, citrus fruits, soy products, tea and coffee are rich in flavonoids. Grapes, cherries, berries & green tea are rich in terpenes & polyphenols. In green leafy vegetables like spinach, cabbage, kale and brussel sprouts, glucosinolates and indoles are present in abundance. All these phytochemicals act as an anti-oxidant. Oxidation is a chemical process which produces free radicals in our body. These free radicals play the role of carcinogens by creating the faults in cell growth pathways which leads to the birth of cancer. Anti-Oxidants work against oxidation resulting is less free radicals in our body. These anti-oxidants act as an immunity booster. In general, they detoxify carcinogens, inhibit cancer cell growth, downgrade inflammation and tumor size and limit production of cancer-related hormones. ACS guidelines on cancer prevention strongly suggests that adults should involves themselves in 150 minutes of moderate intensity physical activities each week and for children /teenagers it is 1 hour of exercise each day. Exercise itself lower stress levels by producing endorphins which are known as happy hormones. Thus, physical activity dipping obesity, harvests a sense of well-being cutting the cancer risk by significant numbers. Apart of smoking and inactivity, choosing the cancer triggering eatables is the major cancer causing aspect. They may be in our daily diet and we didn’t even realize it. American Cancer Society identified 9 categories of cancer causing food which are part of our busy fast moving lives. Hydrogenated oils: These trans-fats contain margarine and ghee. According to FDA no trans-fats are safer no matter how good their quality is. They considered worst type of fats. Keeping in mind the oil and ghee adulteration in its peak in Pakistan, one should consider replacing the margarine & ghee with olive oil, palm oil, coconut oil, desi ghee, or homemade butter. Browning Carbohydrates: In the latest press release, British food scientists have warned about heating carbohydrates higher than a certain temperature. The carbohydrates which are heated for increase amount of time contains higher levels of acrylamide, a chemical compound which is carcinogen. Fast foods like French fries, popcorn, grilled bread. We also need to know that acrylamide is also found in cigarettes in very high quantities. Red Meat: Consumption of red meat on daily basis put you at greater risk of having cancer specifically breast cancer. A new study published in San Diego Union Tribune confirmed that red meat contains a sugar molecule NeuSGc that becomes a part of your own cells and it triggers process of inflammation as your body recognizes it as foreign element. Farmed Fishes & Chicken: By avoiding processed and red meat you will find yourself eating more white meat. Fish is an excellent choice to pursue for protein needs although opt for the wilder fishes as the farms ones contains pesticides, antibiotics, PCBs which all are cancer causing contaminants. Farmed chicken on the other hand has also the cancer-causing contaminants as the feed given to them, consist of these chemicals so look for Desi ones. Sugary Drinks: Drinks having a highly dangerous amount of carbohydrates like carbonated drinks are damaging to health as that high amount of sugar brings your body in to a chemical shock. Your body natural response to any kind shock is to flood it with fluids and immune system cells which triggers inflammation. Inflammation in return paves the pathway for diseases like cancer. Artificial Sweeteners: Avoid using products entailing artificial sweeteners. Artificial sweeteners like sorbitol apart from a cancer-causing agent increase blood pressure also. Genetically modified Organisms: Due to GMOs those days are long gone when you will be able to find a specific vegetable or fruit in their specified seasons. Now crops are grown using genetic mutations in their respective genes so that they can adapt to any harsh seasonal conditions and can be grown throughout the year. That’s why you will find all the vegetable and fruits in the market all the time of the year. By growing vegetables in your garden, you can at least lessen exposure to these GMOs vegetables. For fruits, you can handpick them from orchids and farms. Since 1990-2016 the cancer mortality rate in Pakistan has increased instead of declining. Pakistan being a UN member has also agreed to a target of reducing premature deaths from cancer as part of the sustainable development goals (SDG) by one third by 2030. This kind of target seems a bit un realistic to achieve considering present facts & figures. To achieve this huge target, we need a strong engagement from a healthcare professional to a common man. We as a nation needs to be more vigilant and proactive about non-communicable diseases(NCDs) like cancer rather than declaring it as an act of God and leaving it to the hands of faith. Change must be start with in. We can all make sure that if not all, at least our family and community members must be introduced to lifestyle changes! *original article can be read on Propakistani here. The author has made few changes in this article to maintain its copyrighted material.